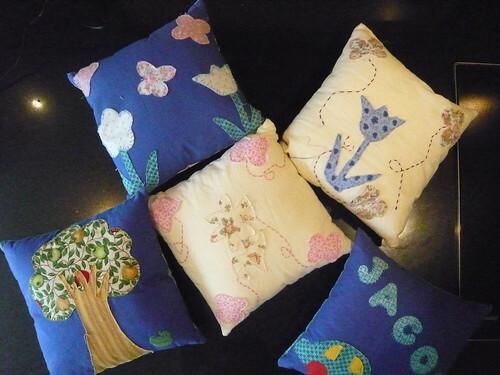 This is a sample of the children's first completed project: cushion covers with applique work. 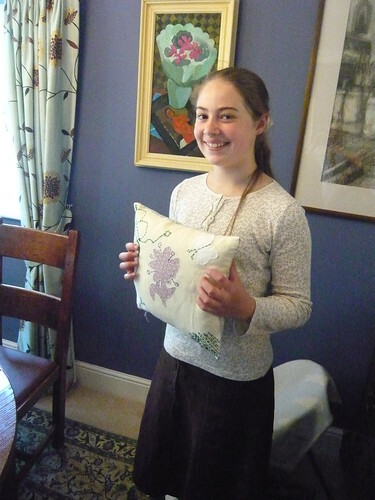 Marie Lewin with her exquisitely appliqued and embroidered cushion. i love your collection.i really hope it gets sold soon because it is definitely worth buying.amazing applique work you've done.i am really impressed.keep it up.